I’ve always wanted to go to Italy, but we couldn’t get any cheap flights for it. 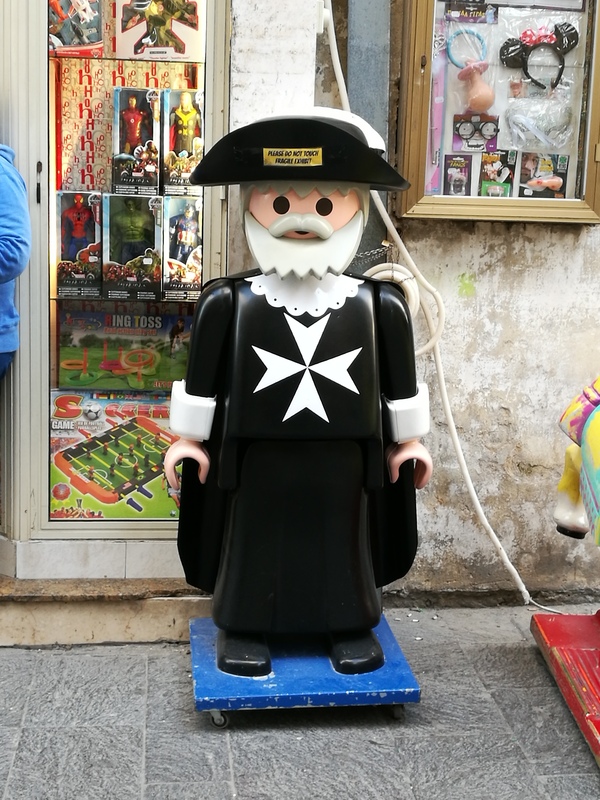 What we could get though, was Malta, which is the next best thing. They are a mix of Italy and Britain and a succession of Moorish invasions.. They talk in lots of languages and all the signs are multilingual and the food is a glorious mix! It’s such a fun and interesting place to visit. 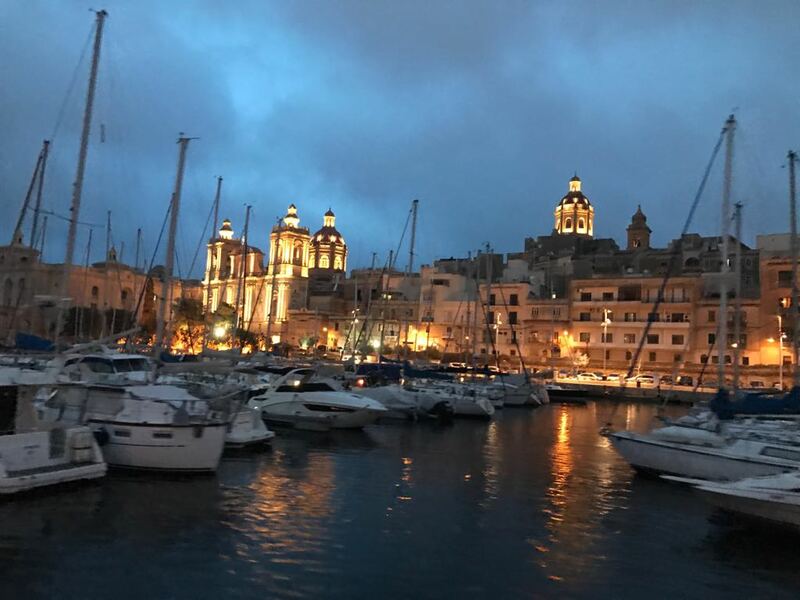 We stayed in the capital, Valletta, which is lovely, but when it’s not quite the touristy season it can be a bit dead, so I would encourage you to stay in St Julian’s. 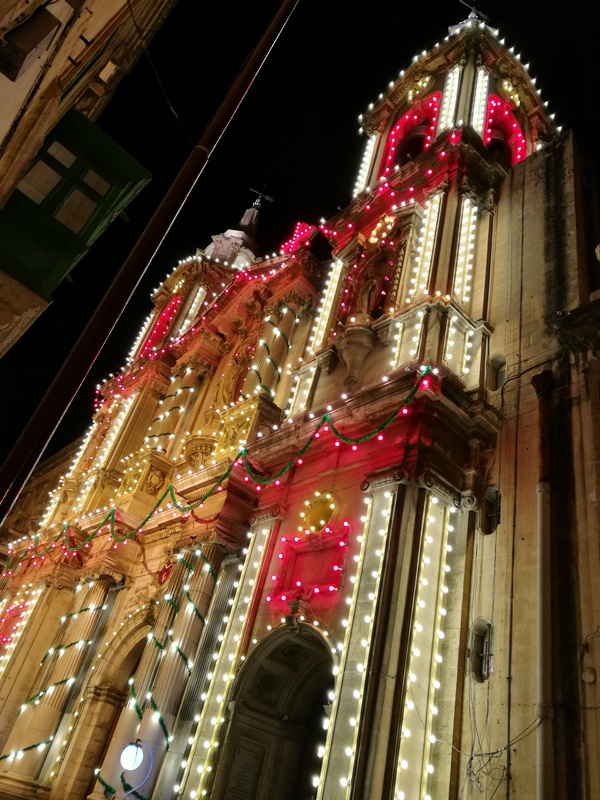 There was a festival on and the churches were covered in flowers and lights which was just beautiful at night. The first thing we did after checking in was finding a restaurant to have pasta. And they were glorious! 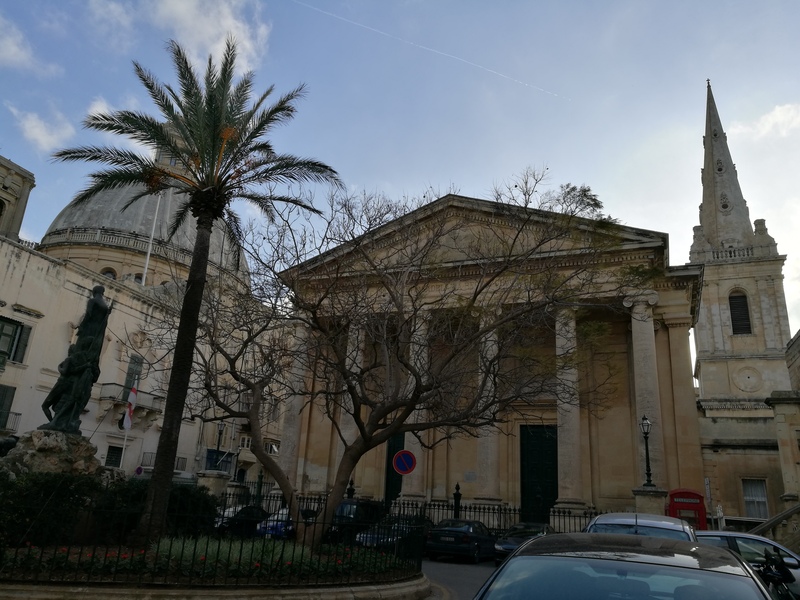 We spent the rest of the day exploring the town, seeing the varied architecture which mixes the Roman and Moorish, sprinkled with French and British influence. At night the city came to life with people mingling about, children running around, a dance contest and shops offering scarves and souvenirs. The hotel owner recommended a restaurant nearby to have one of the local delicacies, Ftira. 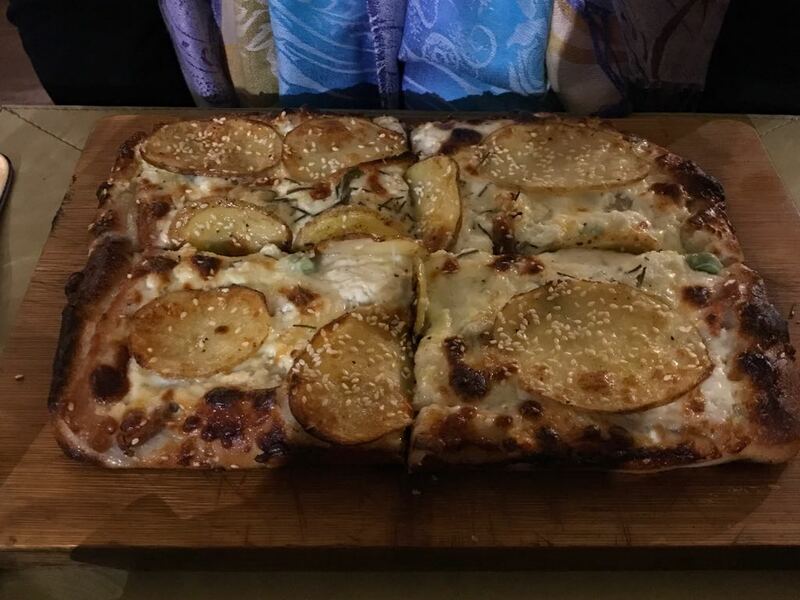 It’s like a pizza, but with completely different toppings, like potatoes or tuna. It’s very filling and after two slices I wished I had taken the meat like Dan! 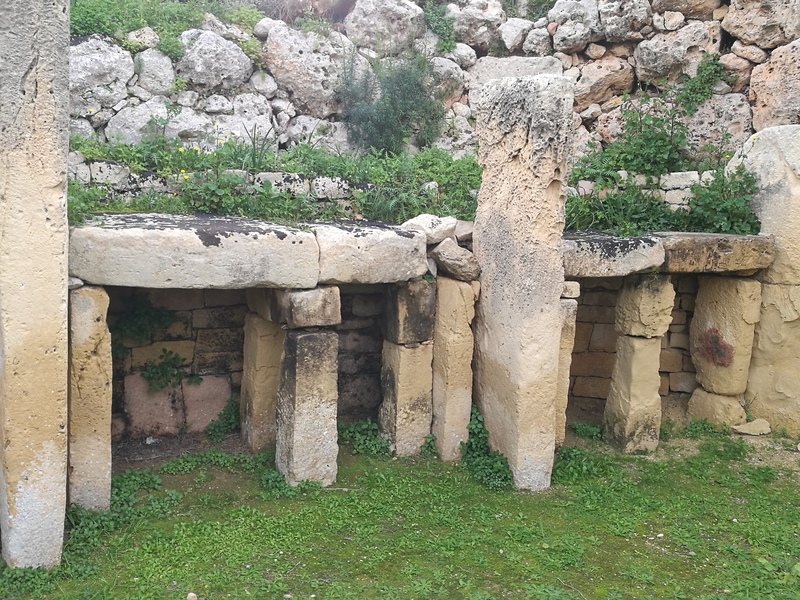 The next day we had a tour of Gozo, the smaller island to the northwest of Malta. We took a bus that picked everyone up, then a ferry to the island. You pass the Blue Lagoon, which is the most gorgeous shape of blue. Unfortunately, it was too cold to go there to swim. I did have friends go there a few months later, and the pictures looked amazeballs! 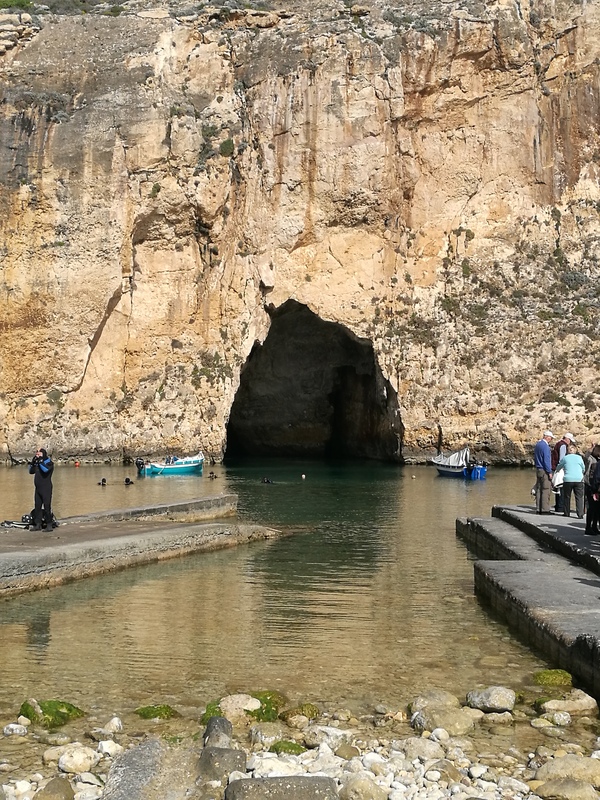 In Gozo, we took another bus that took us to the Azure Window. We were lucky enough to see it a mere weeks before it collapsed in a terrible storm. We took little boats and sailed around it, which was great. 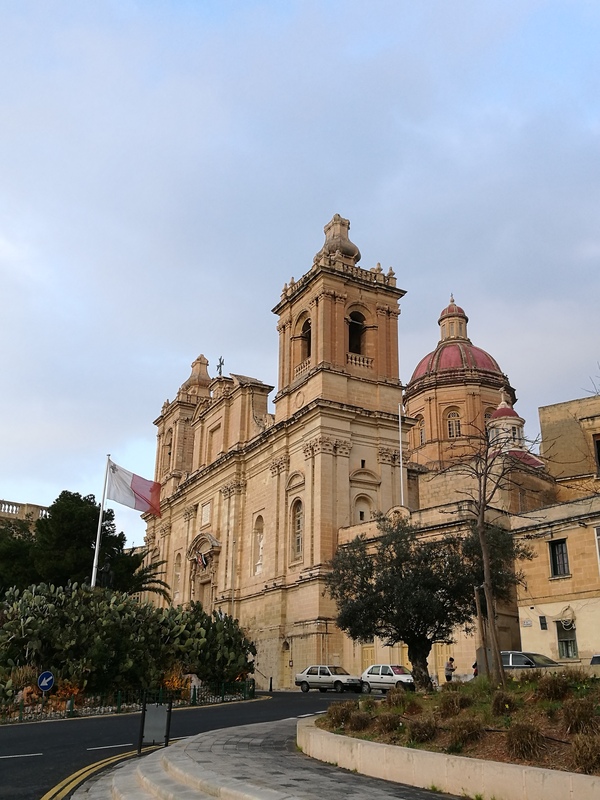 Afterwards, they took us to the Citadel cinema in town where we were shown a short movie about Gozo and Malta, about the different invasions and influences. We visited a tiny village where women still weave beautiful lacy tablecloths and napkins, as well as create the most intricate pieces of jewellery with stained glass. I got a lovely pair of earrings and a Christmas tablecloth that I can’t find anymore since I moved house (awks). 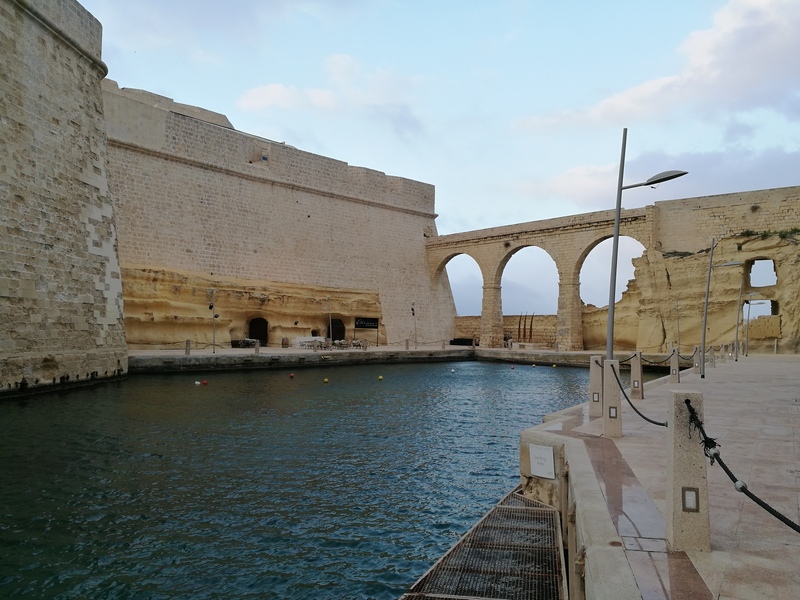 The next day we took a short ride to Gzira, which is opposite Valletta, and took a walk in the pouring rain 😦 The water was still an amazing shade of green blue and the architecture is simply beautiful. 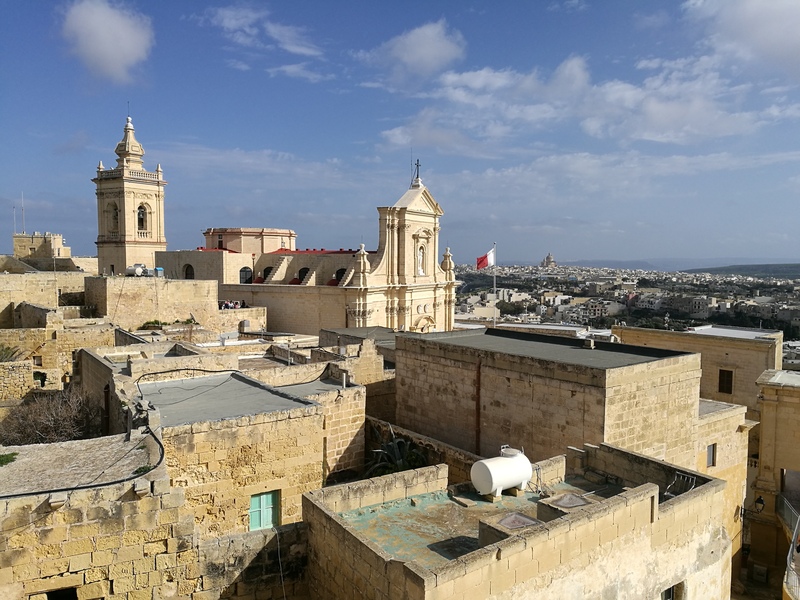 We also took a trip to Mdina where we waited 40min for a pizza! Sorry, it’s the little things sometimes. But they had great shops with blown glass articles and horse carriages and several museums we didn’t have time for. I think it would be better if you went in early Spring or late Summer as the weather might be consistently better, but it is a place worth visiting for sure! 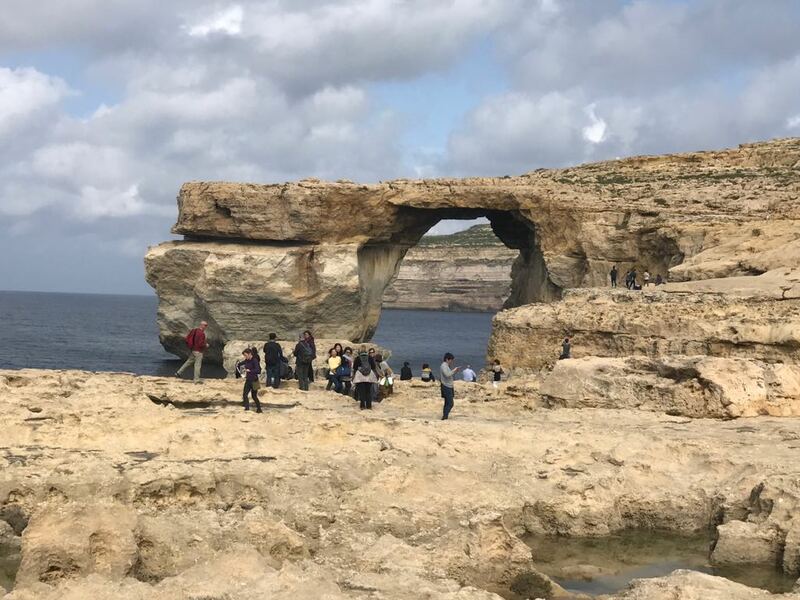 Tags: azure window, gozo, island, malta. Bookmark the permalink.